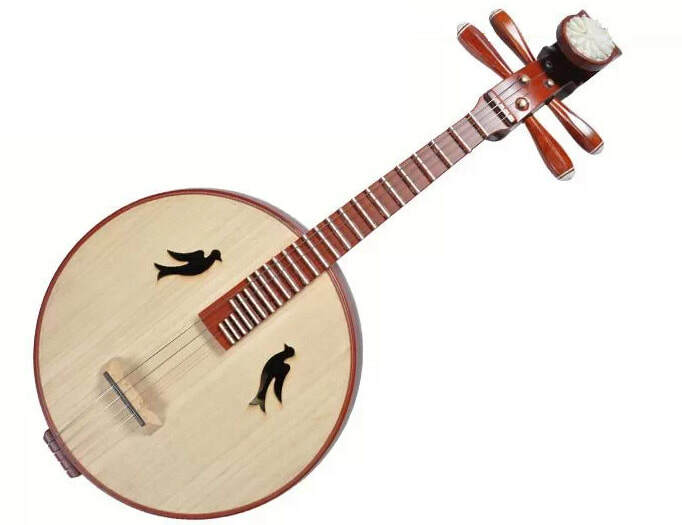 The Zhongruan 中阮 is also known as the moon guitar that appears much later in Chinese history compared to other Chinese traditional instruments. It is fitted with four strings and frets with a wooden soundboard. 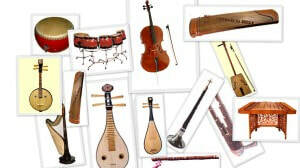 Its family, ruan, comes in a variety of different sizes and pitches, forming a family of soprano, alto, tenor and bass, a development intended to increases its range and effectiveness in the modern Chinese orchestra. The alto and the tenor are most commonly used. The ruan has a mellow tone quality. It is often seen in ensembles or in accompaniments but it has also become a solo instrument in recent years.